Let's talk lips! If there's one product our brides are most curious about during their trial, it's lipstick, stain or gloss. We hear so many questions around lip color for your wedding day - how long will it last? Should I wear a bright red? How much of this is going to rub off on everyone, including me and my dress? Well, here are some helpful answers to some of the most common questions from brides about choosing the perfect lip products for your wedding. How long will my lip color last? Normal wear for most lipstick (under the best conditions) is four hours. But, there are some options to keep the color going for a longer period of time if you're wanting that bold color all night! Matte liquid lipsticks don't have the oils that traditional lipsticks do and won't transfer - even after all of those kisses! They can be a little drying and uncomfortable to some, so we can choose to add a gloss or regular lipstick on top. You'll still get the increased wear time, but it'll be a whole lot more comfortable and will fade away gracefully. What lip color should I go with? The lip color you choose depends on lots of factors. When is the event - daytime or evening? What's the general vibe of your wedding? What color is your dress/wedding day attire? All of these details play a part in deciding what makeup you want to wear for your wedding. Red lips are always a fun option and I've noticed that when people work with a makeup artist for the first time, their instinct is to go all out - full on glam! But if you're not used to or comfortable wearing red lips to any other occasion, you're not likely to be if someone else puts them on you. Remember, the goal always is to make you feel confident, not self-conscious! If you're intimidated by a bright red lip, we'll play around with some more muted or neutral tones to see which color makes you feel beautiful and confident! When should I decide on my lip color? Bridal Trials are the perfect time to experiment with different looks and determine which one makes you feel the most comfortable! 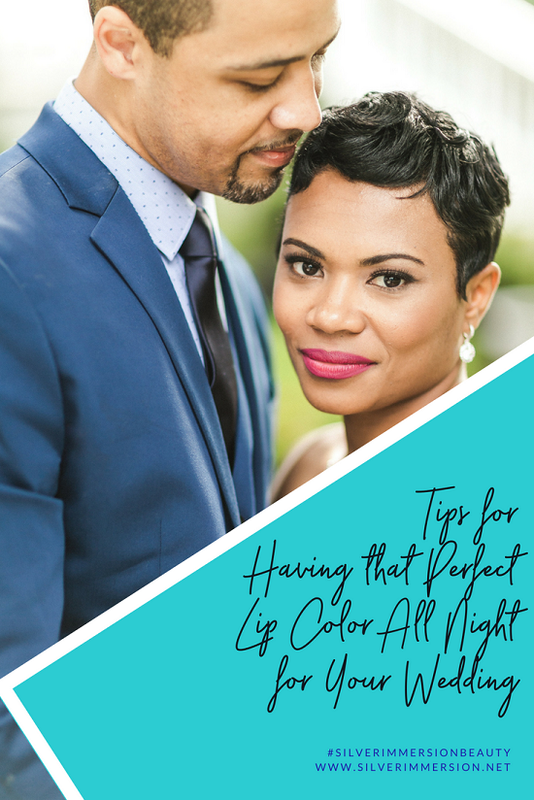 We can start with a more natural color to see how it looks with everything before wiping it off and putting on that bold lip. Walk around with it for the rest of the night and see if the extra attention makes you feel powerful. If it does, it's definitely what you want to go with on your wedding day. And, if you change your mind, we can always adjust to your perfect shade on the day-of!